Professing our love for God usually does not pose any difficulty, obeying God’s commandments, especially when it is transmitted by the Church and the Magisterium, is another matter altogether. In today’s society, often the motivating factor for obedience to laws does not derive from a relationship with God. There may be other reasons, for example, laws ensure proper ordering of society and dispense justice. People observe the law because they fear reprisal; the punishment meted out for violating the law. Moral, ethical imperatives or a break in communion with God often do not figure at all. Often, it feels as if love and obedience are mutually exclusive, in that love precludes the need to obey, whereas obedience robs us of the freedom to love. But today’s gospel begins and ends with an appeal to love the Lord and to manifest that love in obedience to his commands. In the Old Testament, ideal observance of the law was raised to a transcendent, supra-political level. Breach of the law, therefore, was regarded as a breach of the union between God and man. Those who would call themselves God’s people were required to infuse their actions with an attitude of love, as reflected at the supreme law in the Mosaic covenant, the heart of the Law,” You shall love the Lord your God with all your heart.” That’s the bottom line of the law. In one radical twist, Jesus now makes one clear connection between love and obedience. In John’s Gospel, faith and obedience to Jesus’ commands have been deepened and raised to the level of love. Christians are indeed required to love, and in fact to love the Lord. But loving the Lord ultimately demands obedience to the commandments. Love is not just a matter of subjective feelings. Love is never a license for anarchy or whimsical behaviour. Love does not mean one is free of moral obligations. On the contrary, love has an objective content, it possesses an essential ethical quality to it, one which demands obedience to God’s commandments. Much of the problem lies in the fact that love has been reduced to the level of subjective self-definition, rather than an objective reality. God is Love – that’s objective, there’s nothing subjective about it – who God is doesn’t depend on how we feel or what we think. But for many Catholics and Christians in general today, our faith is becoming really ethereal, touchy-feely, and abstract. For too many professing Christians, it seems that their relationship with God is dictated by how they feel towards God at the time or how they think God feels about them at the time. Closeness to God, according to this way of thinking and believing, is both subjective rather than objective and an experience rather than a reality. “I just feel so close to God today,” or “Can’t you just sense the Holy Spirit’s presence in the room?” or “I didn’t feel God was present at mass today” become definers of one’s spiritual status. According to the Scripture, a tree is known by its fruit, not by what the tree thinks about itself or its relation to its Maker. 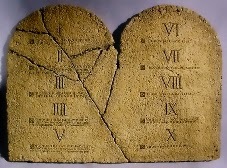 This is why Jesus says, “If you love me, you will keep my commandments”. His point is that we would forget about how close we think we might feel to God and to rather prove our love for Him by obeying what He has already said to us in His Word. Obedience is how we prove our love for the Lord, and this is a very concrete, objective measure of the state of our relationship with God. And there is nothing abstract or ambiguous about this. This intimate and dependent connection between love and obedience to God is something that needs to be stressed in this day and age, where love has come to be understood as being apathetic, non-judgmental, and based upon non-discerned emotions and feelings. Yet, how can it be authentic love if it is not connected to obedience to the word and commands of Christ Jesus? Whatever is not connected to the Truth, and Jesus is the “Way, the Truth and the Life,” is connected to the Father of Lies, Satan. Whatever is disconnected from love of God (Jesus, Love Incarnate), is connected to the hate of God (Satan). All sin is an exercise in disobedience to God’s word and commands. The reason why the love of the world is gravely disconnected from obedience to God is simply because it has rejected the authority of the Holy Spirit, the Advocate, whom the Father has sent to teach us everything and to remind us of His Word. The world of media doesn’t help us either, because it continually shows us that sleeping around, stealing, murdering, lying and ignoring God, are both normal and acceptable. And if we are told something often enough, we will begin to believe it. And that’s what mass media is doing to us. They are de-sensitising us to sin and to what is wrong, and deafens us to the voice of the Holy Spirit. Perhaps, there is an innate suspicion of obedience and laws in our modern day society. Obedience carries negative connotations. It implies and assumes an unthinking submission that reduces one to a level of a child or a slave. And so we associate obedience with compulsion; the lack of freedom or love. We view obedience as a forced, unwilling decision to do something we don’t want to do because we’re afraid of punishment. But that’s not the kind of obedience that’s found in scripture. Today, Jesus reminds us – love involves obedience – “If you love me, you will keep my commandments.” It always starts with love. Obedience comes from knowing that God loves us and that we love Him in return. It’s not about blind submission, but about loving trust. The call of today’s Gospel is for us to develop a rigour of obedience to the Word and to commands of our Lord. What does that mean? In practical terms what that means is for us to prayerfully work on deepening our relationship with the Holy Spirit. In daily exercise terms it means to devote ourselves to the reading of Scriptures, to prayer, and to making frequent use of the sacramental channels of grace, especially the Eucharist and Penance. In living a sacrificial life of love it means putting the needs of others before yourself, forgiving others immediately, and always desiring to draw closer to Christ. How do we draw closer to Christ and to God? Well, Christ provides the answer, “If you love Me, keep my commandments.” It is impossible to be obedient to God without loving Him, and it is impossible to love God without being obedient to Him. And it is grace that knits both obedience and love together in perfect harmony.